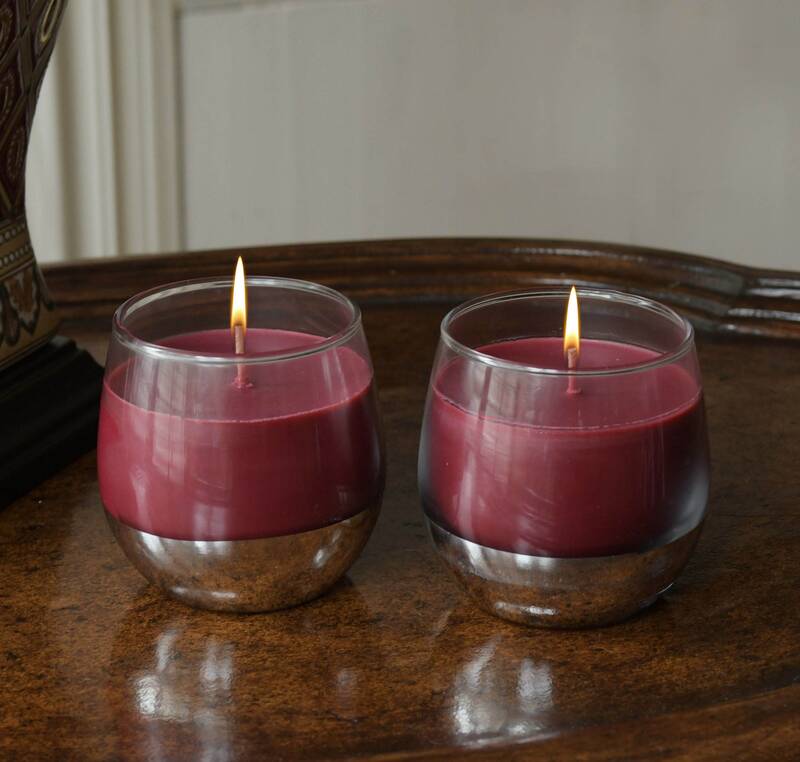 2-Piece Set of One of a kind Wine Glass Candles with a Surprise Wine Charm Hidden at the Bottom of the Glass. Sure to please anyone, these really do make a perfect gift or keepsake for all your special occasions. Scent of Merlot and Chardonnay will fill the senses - even when unlit! 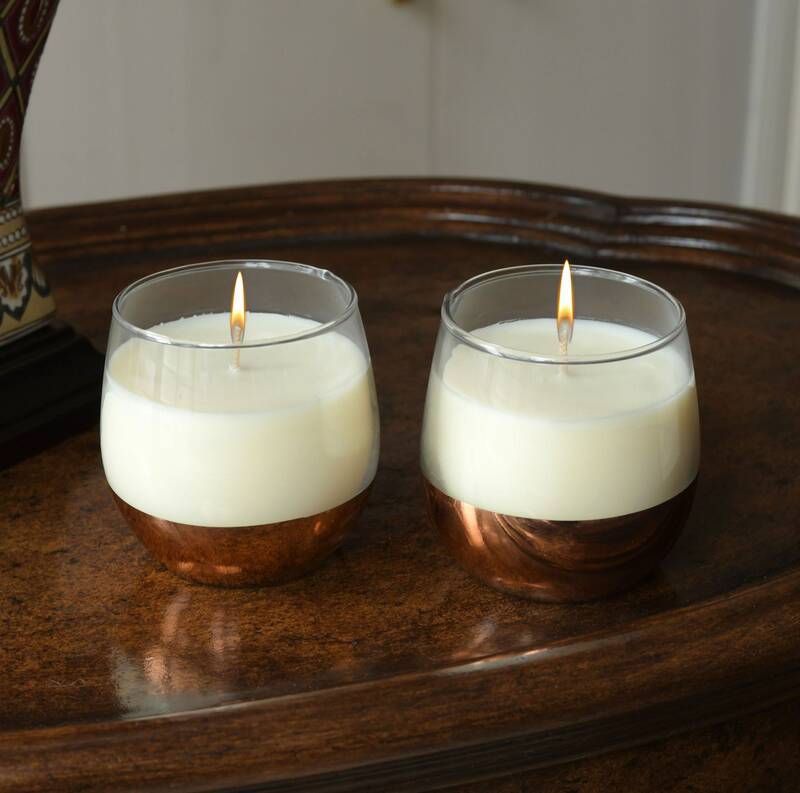 Beautiful round glass with gold and silver finish at the base. The special surprise charms can be placed on a wine bottle or glass ring or used as you please. 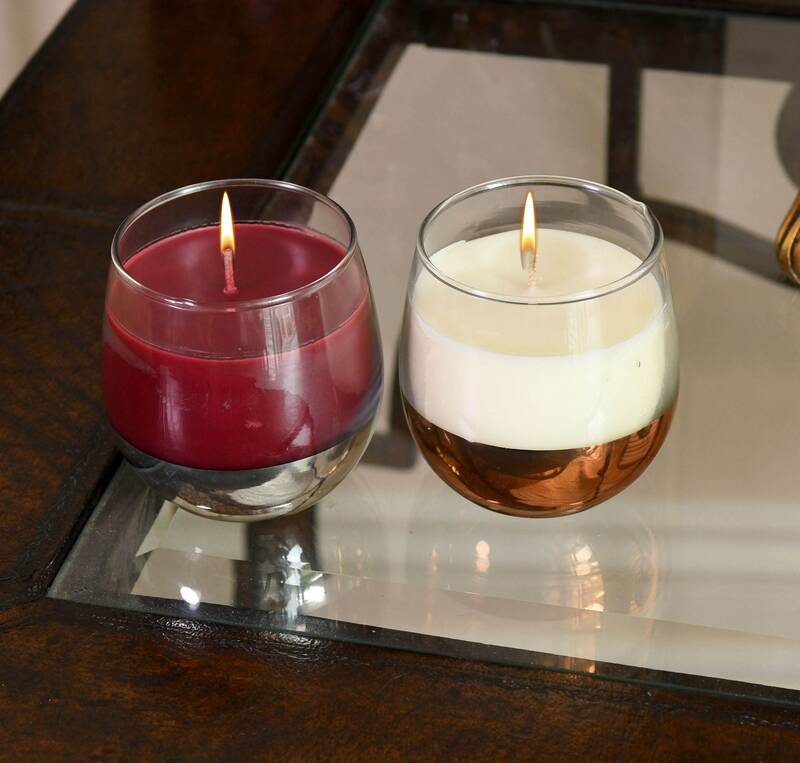 The Wine Charms are at the bottom of the glass and show up as the candle burns down. Please select your combo when ordering. 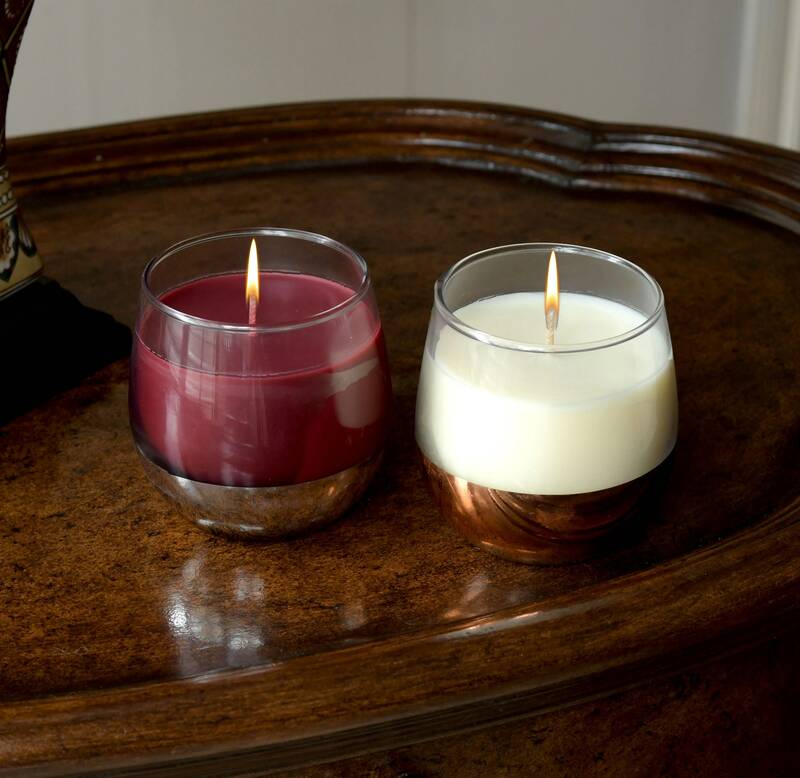 7oz candles burn for about 35 hours. Place your order now on these brand new items.